Corner of Liberty Street & West Street, New York, N.Y. 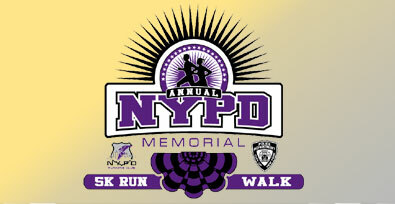 This race is run in honor of all NYPD Officers who have died in the line of duty. There are more than 1,000 NYPD heroes whose names have been etched into the granite New York City Police Memorial Wall in Battery Park City. We gather yearly to honor these brave men and women who have made the ultimate sacrifice. After a short prayer at the wall there is a 5K Run/Walk (3.1 miles), followed by a Kids Fun Run, Awards Ceremony and celebration. Each year runners are able to designate which NYPD hero they are running in memory of. When filling out the online application select a hero you are running in memory of and their name will be displayed on your running bib. Visit our online registration page to see a list of every hero being honored. Please come out with family and friends so we can make sure each and every one of our lost heroes are honored on a runner's bib. © 2008-2019 NYPDRC. This page printed from http://www.NYPDMemorialRun.com Site by Attention Web & Graphic Design.